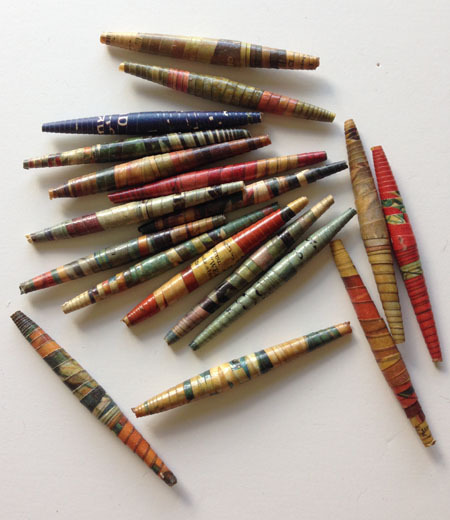 This is a set of 18, hand crafted paper beads. Use in your art work, make earrings, a necklace, a broach. 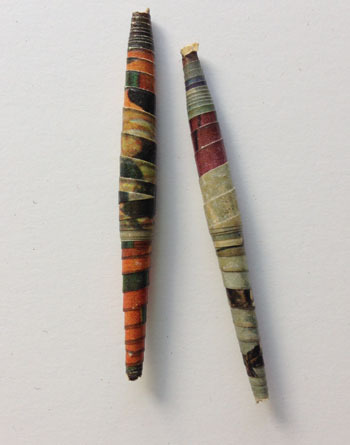 Each measures 2.5 inches in length.